We love to look out at our backyard! In fact, we don’t have any window coverings on the back of our house (except for our bedroom that is) just so we can enjoy our “view”. As much as I enjoy looking at our trees, I really wanted to spice things up! 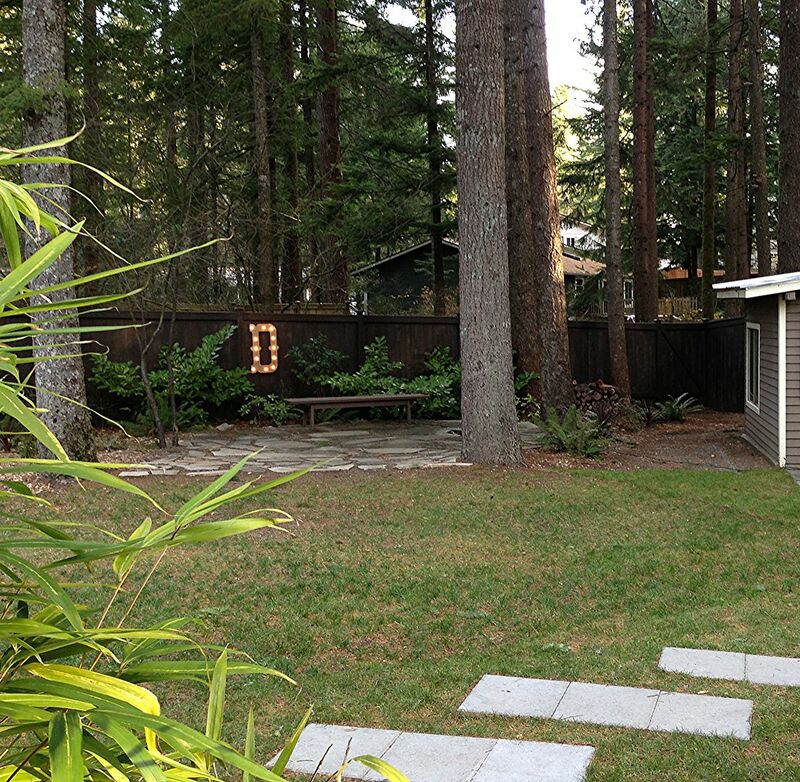 A DIY Outdoor Marquee Letter was the perfect addition to our yard & made for a perfect garage date project, too! It adds a little something special both day and night to our backyard! 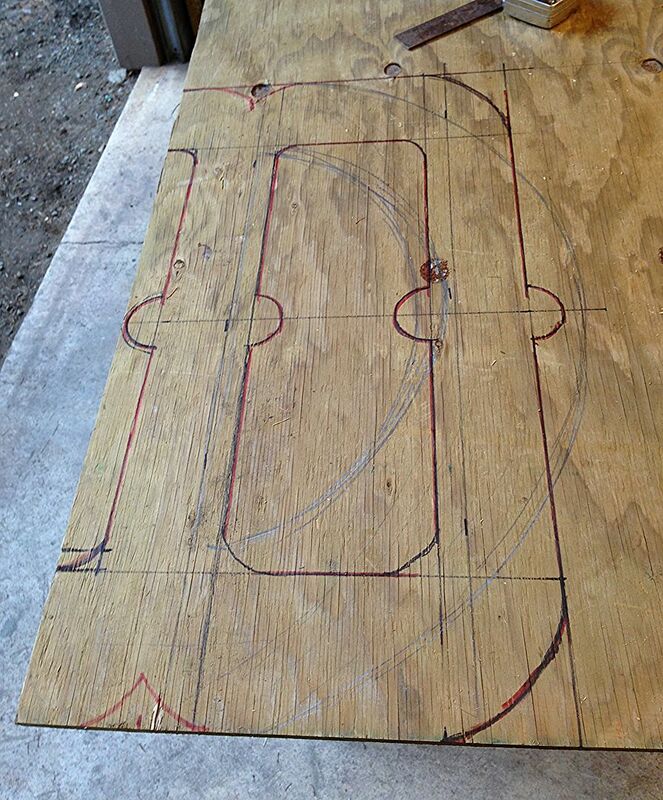 On a piece of 1/2″ pressure treated plywood we drew the letter D. As you can see we played around with it a bit before deciding on this. 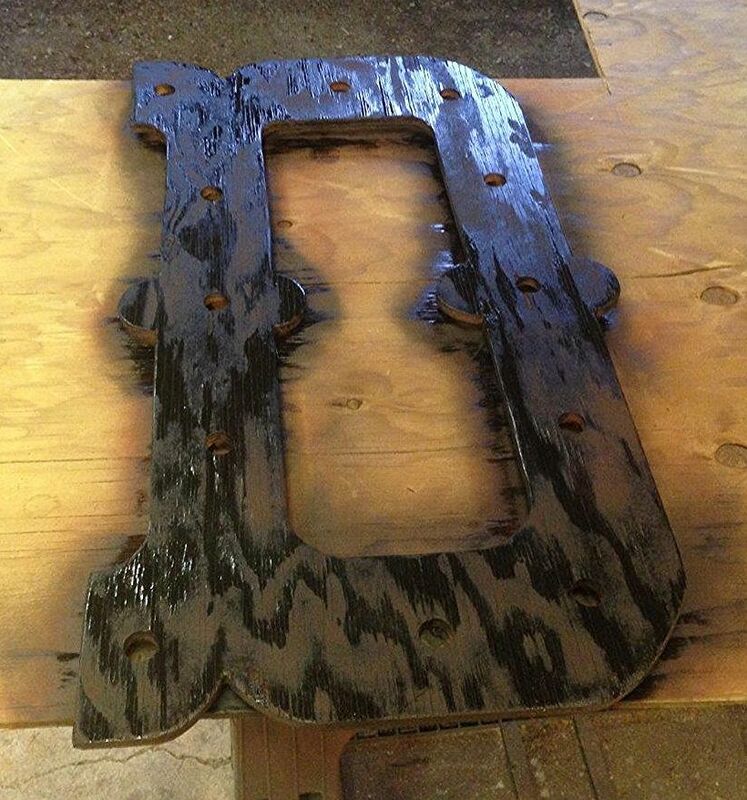 This D is about 30 X 20″ just to give you an idea of size. that we used on our back porch that we used. 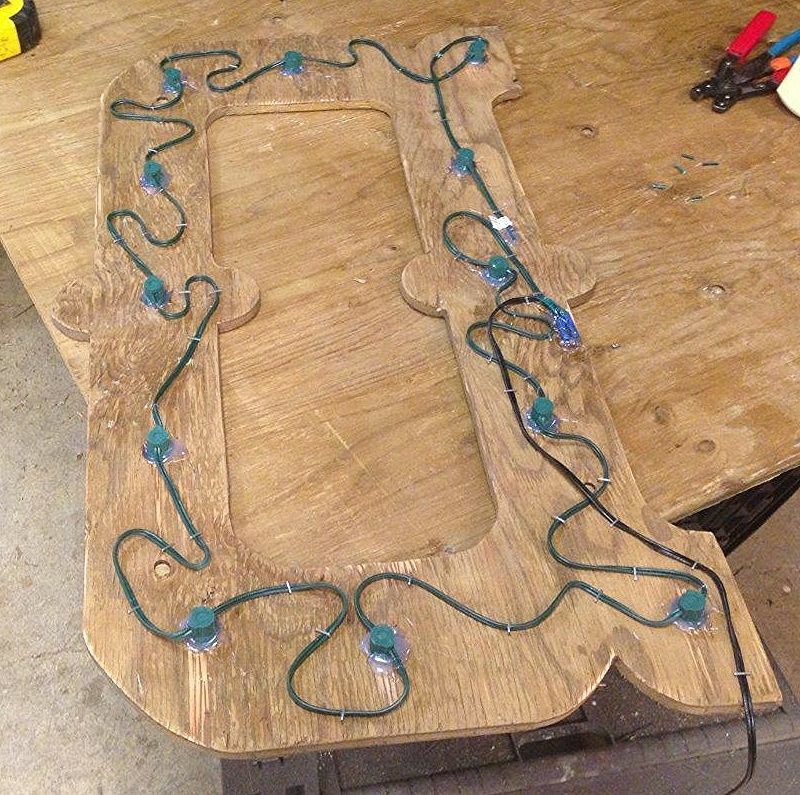 Once we were all mapped out, we used a jigsaw to cut out the letter and drill out the holes for the lights. 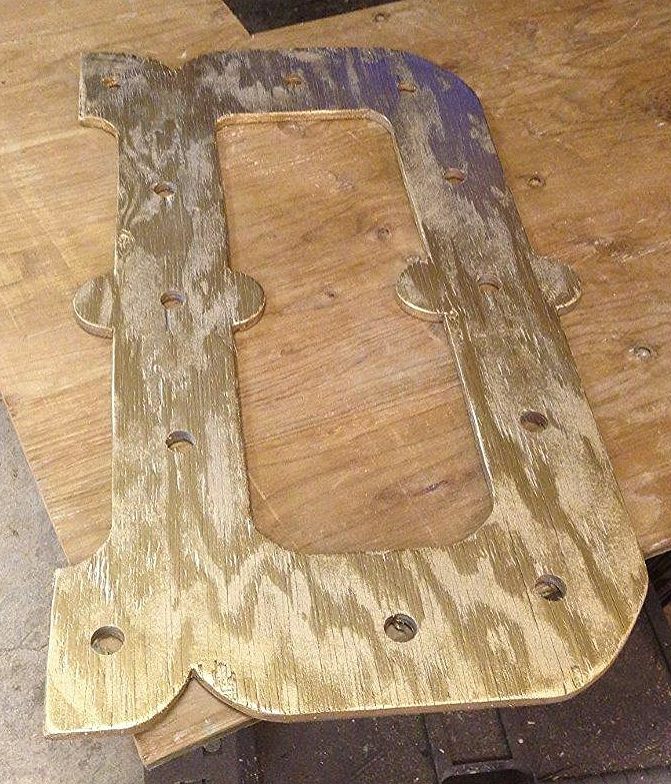 We wanted our letter to be aged gold not SOLID GOLD so we first sprayed a rust color. Next we added a light layer of black. Then we added the gold! 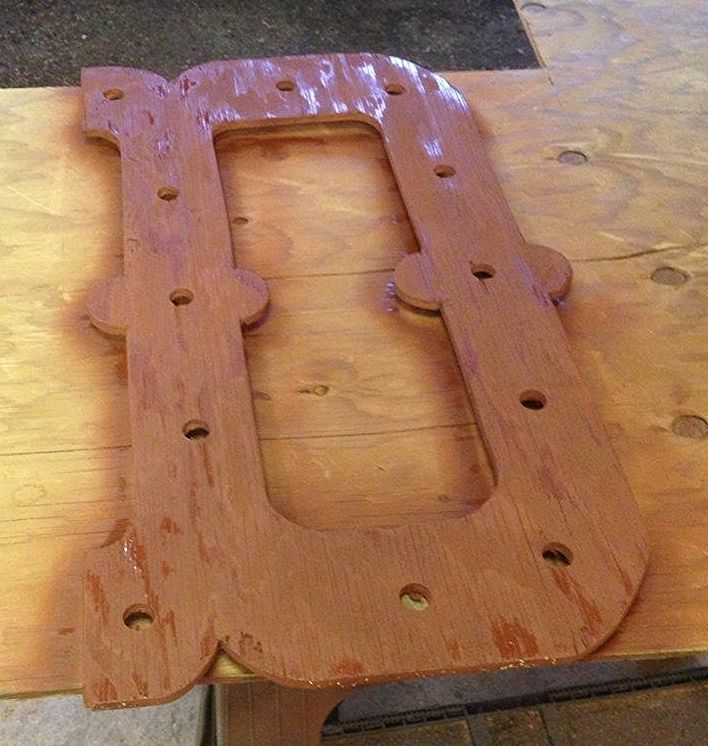 After a little light sanding to age the wood a bit we were ready to add the lights. 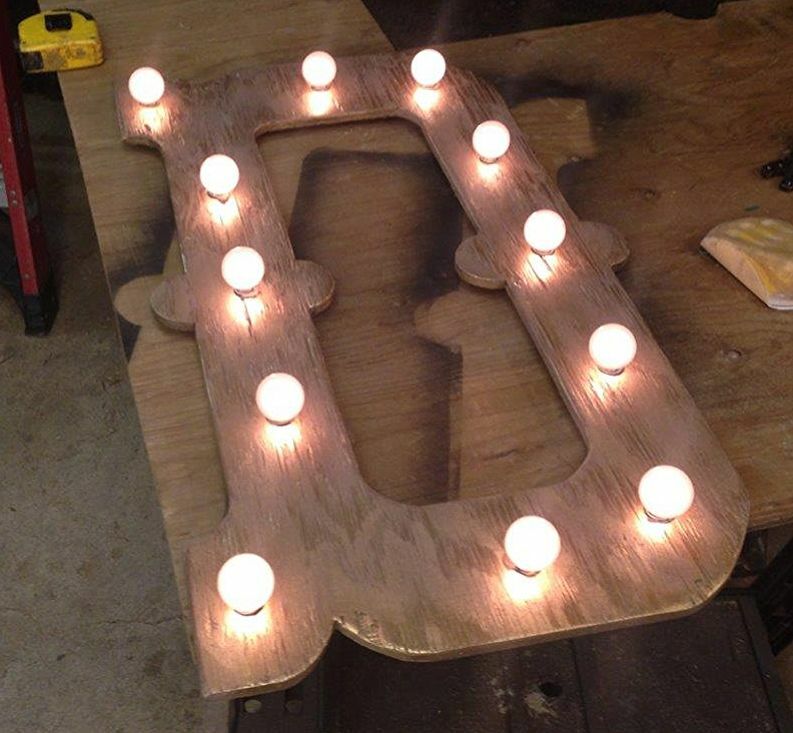 Next we flipped the letter over, popped in the light sockets, and hot glued them into place. 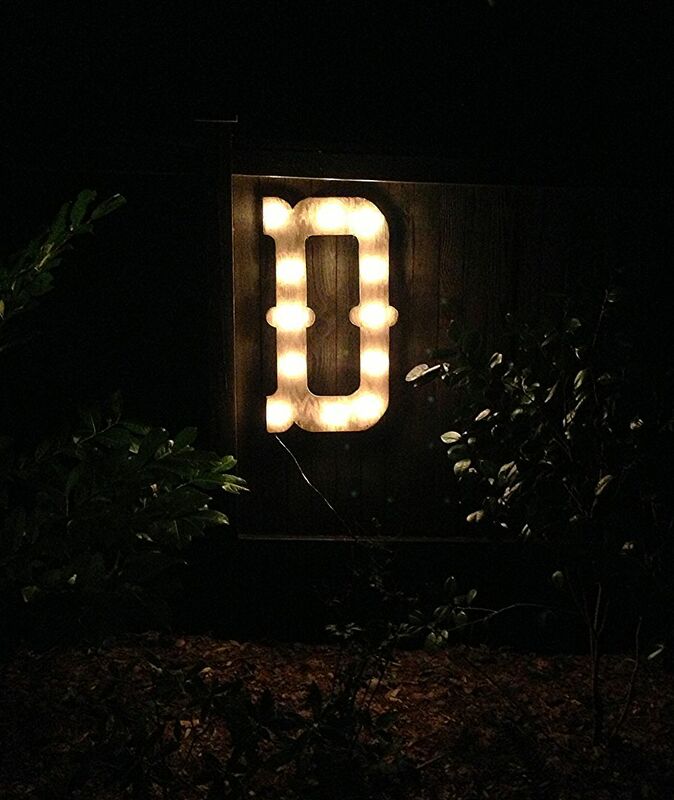 Finally, we screwed all the light blubs in and plugged in our new Outdoor Marquee Light! 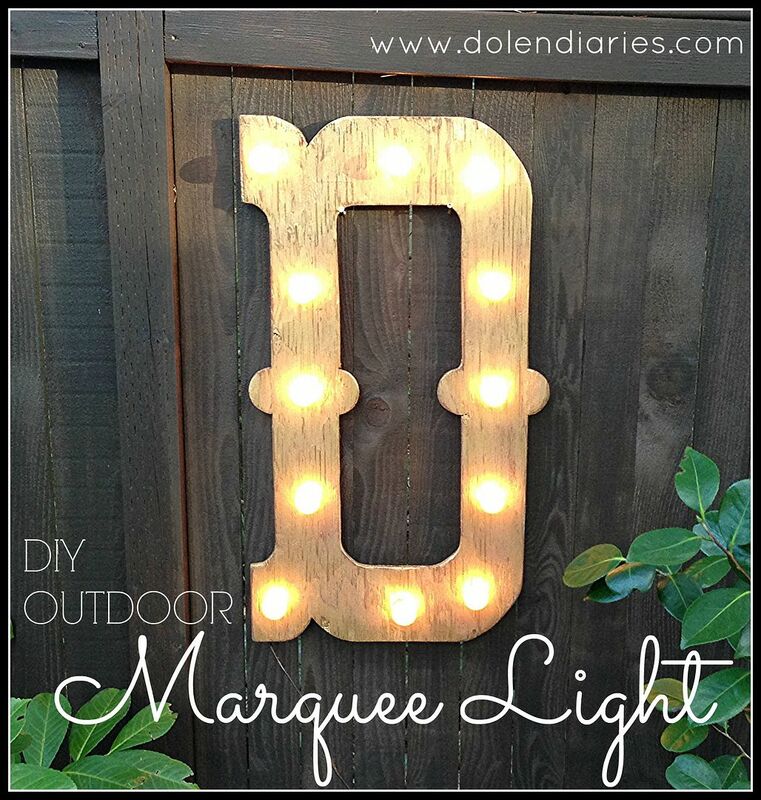 Our DIY Outdoor Marquee Light is complete and hanging on our back fence. We loved it so much that we wanted it to turn on every evening so we have it on a timer. I can’t wait to sit out here this summer enjoying glow of our fabulous light! This is right off our back porch. We have two big pots of bamboo so you kind of peak through the bamboo when looking out into the yard when sitting at our table out there. We can’t forget about how fabulous it looks at night! 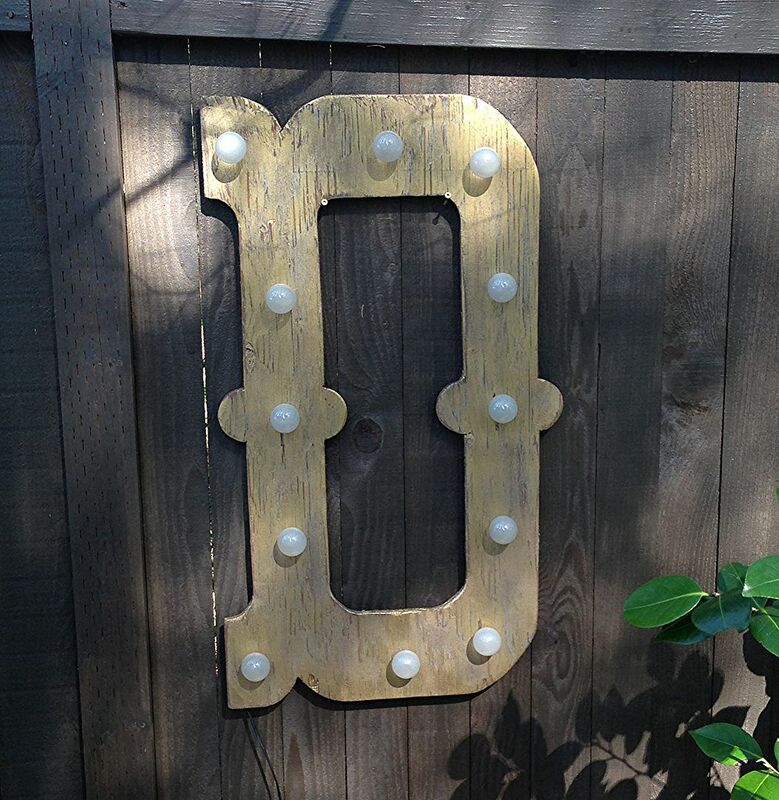 Where will you hang your DIY Outdoor Marquee Letter? This turned out great. I love that you used wood instead of paper mache although there is more work involved, you have the benefit of font! And Ive been debating on a word to use why not an initial? Perfect! We get WAY too much rain to even try a paper mache one outside. I’m in the greater Seattle area so pressure treated wood is the only way to go! This is going on the hubbys to do list! Please share a picture when he’s done! Shelly! There are NO WORDS for how much I love this. Pinning and sharing!!! I’m glad you like it! Thanks SO much for pinning! So cool – love love love it! This is too cute! What a fun addition to the backyard. Thanks Taryn! Gotta add a little something to chase away the greys of the PNW! I love the marquee letter! I am SUPER glad I did not spend a bunch of dough on one now that I know I can make one! LOVE! Great outside project! I love these kind of lights for the patio! Thanks for linking to Whimsy Wednesday! I love this! This is one I definitely want to make. I hopped over from the COM Monday link up. I think I already said this on social media somewhere, but I LOVE this! 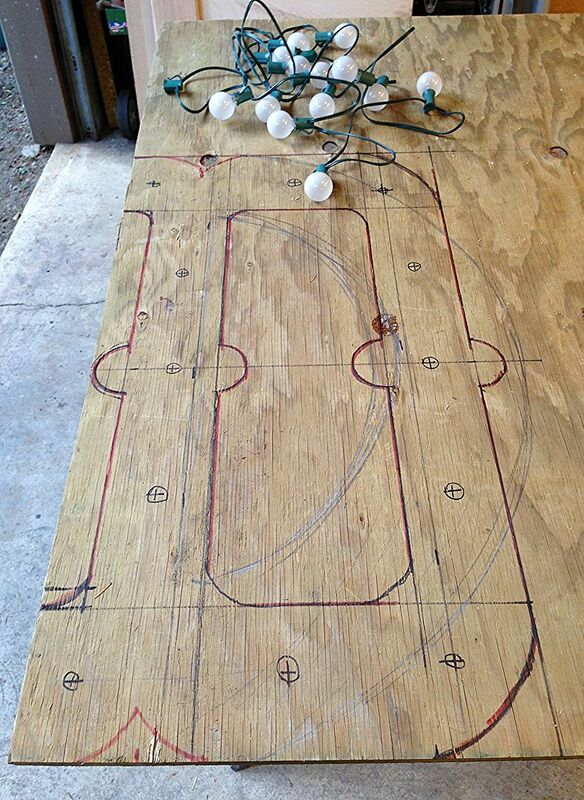 It’s great in the backyard and would be really cute in a game room too! Thanks for sharing it at Thursday STYLE. Melissa @ A Prudent Life recently posted…Kitchen Tour! 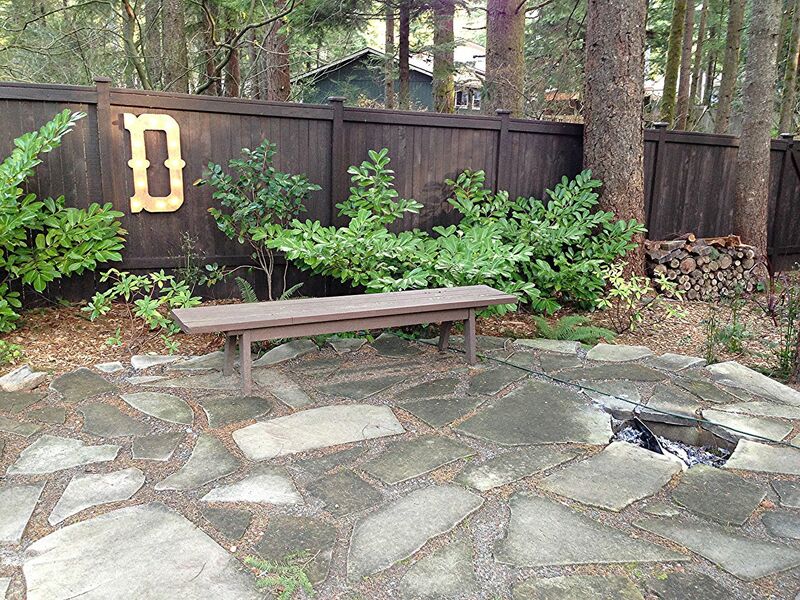 This is such a great tutorial, my backyard needs one of these letters. wow, what a great idea! how much did you spend in total??? i’m sure it was WAY cheaper than buying pre-made! Thanks so much for linking up at Creativity Unleashed last week. featuring you tomorrow and hope to see you back. How exciting! Thanks SO much!!! This is great! Perfect timing for outdoor parties. I just wanted to let you know that I will be linking to this post on 3/28 if you don’t mind. Of course I don’t mind! Thanks for the link! Ha! No worries! I do stuff like that all the time! Thanks SO much for the feature! Just wanted to let you know, you’ve been featured today! Stop by and grab a feature button. You’ve also been pinned to our feature Pinterest board. Thank you SO much! I’ll pop over & grab a feature button! This is awesome! Where do you live, btw? Your backyard (and all of the tall trees) is spectacular!!! Thank you! I live in the greater Seattle area. Lots of green trees is a total beautiful bonus of all the rainy/cloudy weather!